630. 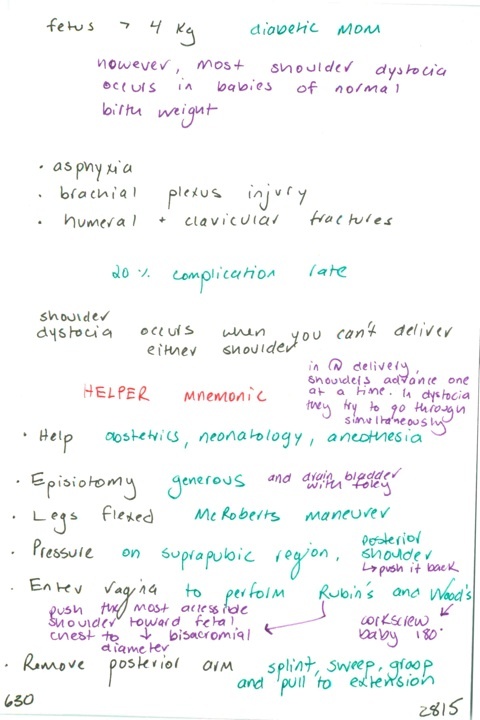 Major risk factor for shoulder dystocia / Complications of shoulder dystocia and complication rate / How to dx, manage / Why does dystocia occur? Previous PostPrevious 629. What to do if you have the misfortune to deliver a breech baby in the ED, and what not to do / What is the Mauriceau maneuver? Next PostNext 631. What is a compound presentation? / Management of face, brow, compound presentations / Differences in the duration of labor stages with multiple gestations / Can twins be delivered vaginally?